This book is about the moral consequences of social tolerance. It examines why intolerance is not only self-defeating, but also detrimental to the ideals of liberal democracies. This book contends that if intolerance is left to run its course, it can poison a nation’s moral climate and threaten its collective identity. Without the compass of tolerance guiding humanity’s spiritual evolution, we will find ourselves floundering in a world of perpetual insecurity and chaos. Ensuring peace and security for future generations hinge on the choices we make today. We can create a world where intolerance plays out its destiny of conquest and destruction. Conversely, we can create a world where the highest valued currencies are inclusion, relational intimacy, and adventure. This book gives us hope that we have the capacity to create a more peaceful world based on an economy of love, but it requires that you and I choose diversity over division, hope over despair, and love over indifference. JOSIAH SAMUEL HARRY is a spiritual philosopher, educator, and author of several books, including This Book Is About Winning, and Winning: Essentials for Achieving Relational Intimacy. Josiah was born and raised in St. Croix, U.S. Virgin Islands. He was educated at Loyola University New Orleans. 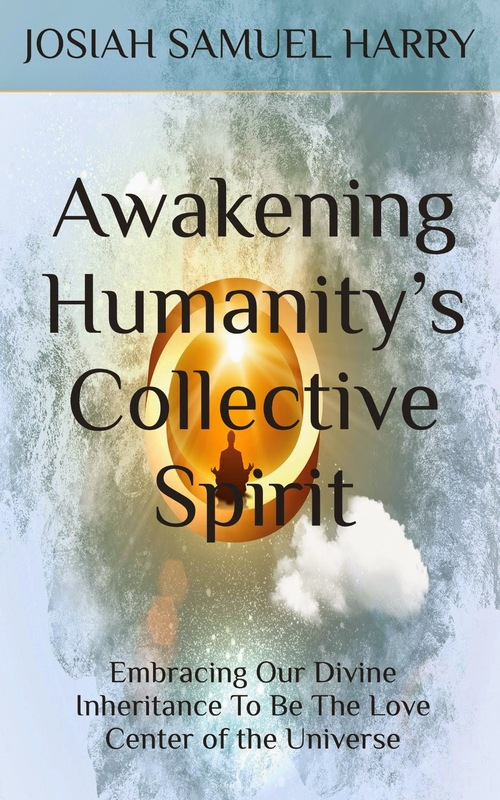 An original thinker and truth-seeker, Josiah invites each individual inward toward a deeper reality that unveils the fundamental purpose of life, which is to ultimately find truth in our own lives. “Humanity seems to have fallen out of belonging and community. The light that once lighted our path of progress, hope, and promise has faded into the blackest of midnights. We live in a world where cynicism, apathy, and cowardice seek to take permanent residence in humanity’s collective consciousness. The spirit of intolerance, like a bloodthirsty mercenary, endeavors to stamp out our freedoms. Those who hold firmly to bigotry disguised as truth brazenly parade their distorted ideologies as the equalizing elixir for the masses. By virtue of self-declaration, sentries of anti-freedom movements have predetermined the standards of decency and morality for all to follow. For too many, incredulity takes precedence over reason and faith. Our differences overshadow our similarities. Our individual limitations are scrutinized and our collective strengths are overlooked. Our present struggles are rehearsed and relived while our future promises are reduced to a whispering fantasy. We compete over replenishable resources while our souls wither away. Rather than bearing the emotional, physical, and spiritual infirmities of the weak, we find inventive ways to exploit those weaknesses. Our hands are stained with the figurative blood of those we trampled over to fill our coffers with plenty. We live lavishly and flaunt the fruits of our labor even as our character lies destitute and barren. The spirit of haughtiness and high-mindedness has supplanted the virtues of humility and relationship. We celebrate an idealistic view of rugged individualism over a commonsense approach of community. We tout the autonomous actions of individuals as the ideal way of life of democracies when we are really co-opting enlightened narcissism as the standard. We have taken a punitive stance against those whose values and lifestyles differ from ours and have pompously declared ourselves to be the measure of all things. We censure every practice and condemn every behavior we determine to be unfavorable to our strongly held ideologies. Flawed models of leadership and followership have become the pattern from which we frame our interpersonal relationships. Smear tactics of condemnation and accusation have become our modus operandi. The dictatorial spirit of selfishness, apathy, and indifference for human potential, human values, and human life has marred every aspect of social decorum, social interaction, and social structure.